The Air Force Common Admission Test (AFCAT) is a recruitment based examination that is organized and conducted by the IAF (Indian Air Force). This particular recruitment examination is conducted twice in a year and the AFCAT Exam 2018 dates are officially released for the first examination. The candidates who have applied for the recruitment examination by submitting the application form that was made available starting from December 26th 2017 till January 23rd 2018 shall check out the important details related to the examination here. The AFCAT Exam Date 2018 for first round shall take place by February 25th of 2018. This national level examination shall be conducted at various test centres that are located all over the nation by the Indian Air Force examination department. The AFCAT 2nd Exam Date shall be announced shortly. Mostly, the second tentative examination shall be conducted by the month of August every year, and the same shall happen in this academic year too. In order to appear for the AFCAT examinations, the aspirants must be able to meet up with the eligibility criteria that are released by AFCAT. Interest candidates who are willing to take forward their career in Indian Air Force must clear with below mentioned AFCAT Eligibility Criteria. The AFCAT eligibility 2018 is based upon the educational qualification of the aspirants and the branch for which they have looking forward to work in IAF. The aspirant must have completed their gradation with Mathematics and Physics or B. Tech / B.E with a minimum of sixty percentage marks scored in total. A candidate who has completed their four years of graduation or integrated post-graduation in technology or engineering. Candidates who have successfully completed their graduation under any discipline by maintaining sixty percent in them or those who have completed their Section A & B examination with either Associate Membership of Institute Engineers or Aeronautical Society of India. The age limit for the candidates who are about to appear for their AFCAT 2018 examination are based upon the branch under which they have opted to work in near future. Under the Flying Branch, any aspirant who is between the age group of twenty to twenty four years before January 1st of 2019 are eligible to appear for the recruitment examination. The Ground Duty (Technical) branch has a different age limit, and the aspirants must be between the age group of twenty to twenty six years before January 1st of 2019. The Non-Technical Ground Duty branch has a age limit that lies between twenty to twenty six years, while applying for the examination. Every other aspirant who are about to appear for the recruitment examination must be physically and mentally fit. The board shall not be taking in physically challenged individuals, as the job vacancies in IAF can be met only by physically fit aspirants. The AFCAT Exam Syllabus is based upon four different sections, namely General Awareness, Verbal Ability in English, Reasoning and Military Aptitude Test and Numerical Ability. There are several Syllabus and books related to AFCAT that one can refer with while preparing for the examination. 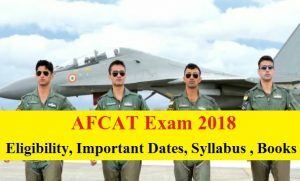 The AFCAT Syllabus 2018 is the same that has been followed in previous academic year, and the aspirants can even check with them by having a glance at previous year question papers. The AFCAT Exam books shall cover up with every other subject, under which questions shall be framed during the time of examination. This type of subject wise preparation can help an aspirant to easily clear the recruitment exam and attend the next part of the interview session with a confident in them. The preparation books for AFCAT Exam 2018 shall not only provide with a solution for previous year question papers and syllabus, it also has various exam preparation tips that can help any individual to face the recruitment examination at ease. The AFCAT Previous year question papers shall be used as a reference to prepare by the aspirants. By taking a glance over the previous year exam paper, one can get to know the type of question that are framed for the post they are about to appear for. 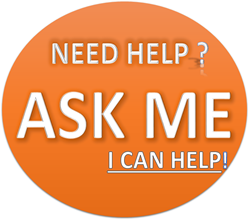 Also, the AFCAT Old Question papers with solution shall help a candidate to find the right answer for every other question that was asked in AFCAT examination till date. Revising with these question papers is a great way to appear for AFCAT 2018 recruitment examination, and you can easily clear them up at your first attempt itself.